One of my favorite Christmas traditions is to watch “A Charlie Brown Christmas” at least once. I adore the simple story of a simple boy wanting to bring simplicity back into Christmas. Yep, that’s really what the legend is all about. Sure it includes Snoopy’s silly dancing, fun piano riffs, a Christmas pageant, and what is undoubtedly one of the holiday’s most enduring symbols: the infamous Charlie Brown Christmas tree; but ultimately the script reminds us what the real gift of Christmas is. In the tale, Charlie Brown is bummed because all his buddies…Lucy, Sally, even Snoopy…seem more concerned with presents and money than what Christmas is really about. Commercialism has run amok and it’s taken the Christmas spirit out of one Mr. Brown. 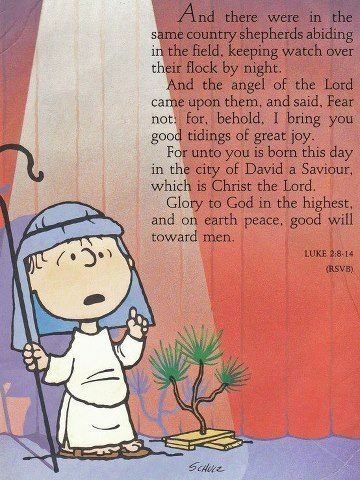 When Lucy suggests he direct the Christmas play, Charlie Brown agrees and all seems to be going well until it’s time for him and Linus to pick out a tree. There’s peer pressure from the cast to choose a shiny aluminum one, but Charlie Brown chooses a small, sickly tree that he innocently believes only needs some tender loving care. Others laugh at it and at him, but the laughter stops when Linus gives a speech of all speeches in which he quotes Luke 2:8-14. 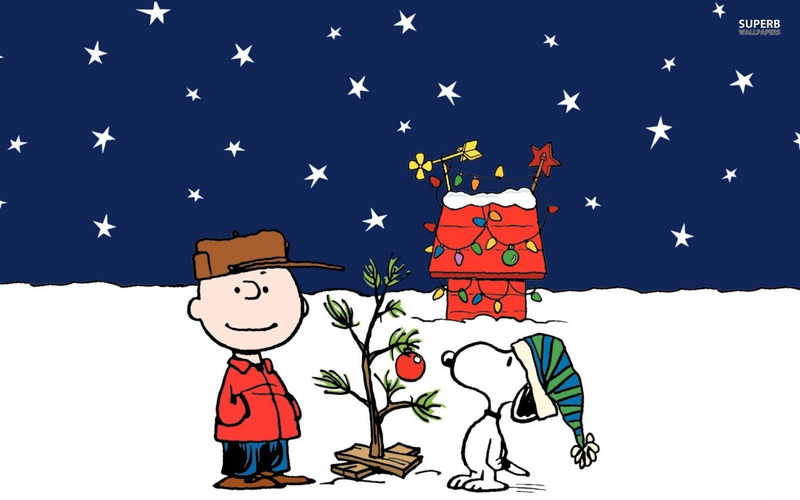 It was 50 years ago this year that “A Charlie Brown Christmas” was first seen on American televisions. No one knew at the time that it would become a classic and you probably didn’t know that many thought its quoting of the bible should maybe be rethought. Some even went so far as to ask creator Charles Schulz to omit any and all scripture. Thankfully Schulz refused to do so. I can’t help but wonder if that would happen today…not with Schulz, but with today’s television producers and writers. Sadly, I don’t think we have to worry about that today as any network program wouldn’t include bible verses to begin with for fear of offending viewers. The chorus of sweet-voiced children sings, “Christmastime is here,” but it took Charlie Brown, Linus, and a droopy tree to remind everyone that unlike a shimmering aluminum tree, Christmas is not about tinsel and glitter. It’s about a King born in a barn in front of animals. You don’t get any more simple than that. Jesus could have been born anywhere, but He chose to be born in front of the lowly. If there was a tree in the manger, I’m guessing it was more like Charlie Brown’s than any color-coordinated or perfectly adorned tree.